Here comes a award to youre really nice page. but i liked youre layout and page. And youre dogs is really beatyful. 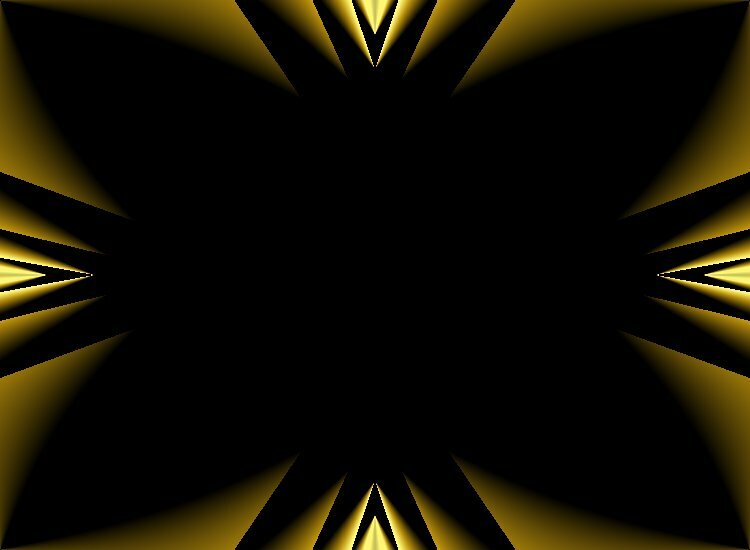 Thanks for visiting my site and for applying for my award. I've visited your site...and it's Great!! 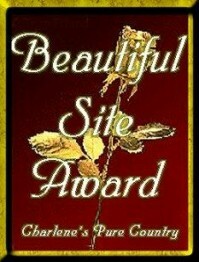 you requested my Beautiful Site Award. with all of your friends. Congratulations! 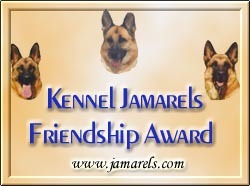 Kennel Jamarels have visited your site, and liked it. Here is your award #2. We also send you our friendshipaward #1. You have such lovely dogs, and we loved your cat also. 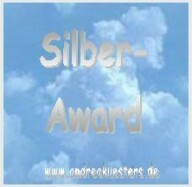 du hast einen Silber Award gewonnen!